I started it to capture street photography in Singapore but it has slightly expanded beyond that definition – but not too much. Some scenes I have captured exist no more. For example, this graffiti inspired by the movie, “V is for Vendetta” (2005). 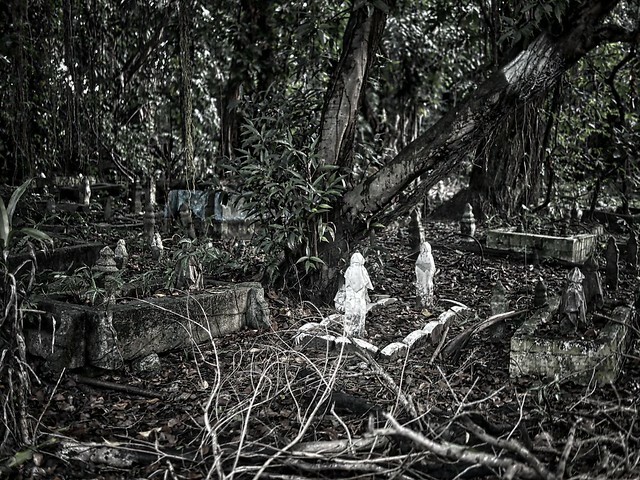 Recently, I ventured into a very old Muslim cemetery to take some shots there. I posted this photo on Facebook with the location tag of the cemetery (In this post, I’m keeping the location vague at the request of the cemetery caretaker). Not long after I posted the picture, a friend of mine, a Malay gentleman, contacted me. My friend, F, is the eldest among three siblings. There was however, a fourth sibling, a boy who was born just after him. Tragically, his brother departed at only 3-days-old in 1973. F explained that his 3-day-old brother was buried in that very cemetery but he did not have the fortitude to visit his brother. He asked me if I would take him to find his brother. I, of course, immediately said “yes!” and set a date. I sensed F needed to visit his brother for some sort of closure. Having been to the cemetery before, I know how old and overrun it is and I was not sure if we would be able to locate his brother. And each time I visited the cemetery, there was NO ONE there. Who to ask? I decided to go to the cemetery by myself again before accompanying F to see if I could make any sense of the plot and perhaps devise a strategy to find his brother. Alas, no clue. Again, there was no one. Many of the tombstones were unmarked, some were removed and placed in a pile, and others just buried under the plants and weeds that had proliferated over the years. Even those with inscription, many were faded and even if they haven’t, I wouldn’t be able to read jawi or Arabic script anyway. I wasn’t hopeful that F would be able to find his brother. 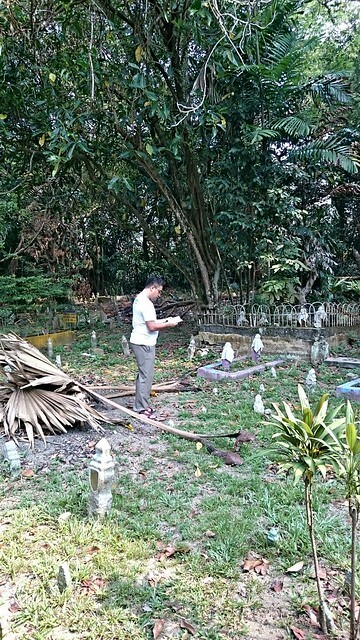 On the morning I was to accompany him to visit the Muslim cemetery, I prayed to my Lord and ask that somehow, F will be able to identify at least the plot where his brother lay. I picked F up. On the way to the cemetery, I attempted to manage his expectations on being able to find his brother. I parked a short distance from the cemetery, offered him some mosquito repellent, sprayed some on myself and took the short walk to the cemetery. As soon as we walked in, we both saw a tattooed Indian man without a shirt. He saw us too and yelled, addressing us, “As-salamu alaykum!” (Peace be upon you). My friend yelled in reply, “Wa-Alaikum-Salaam.” (And unto you peace). This was the first time ever I saw anyone there. 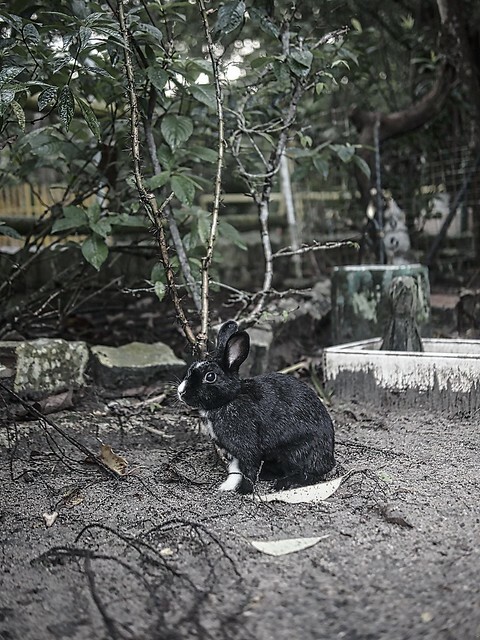 He happened to be the caretaker of the cemetery. 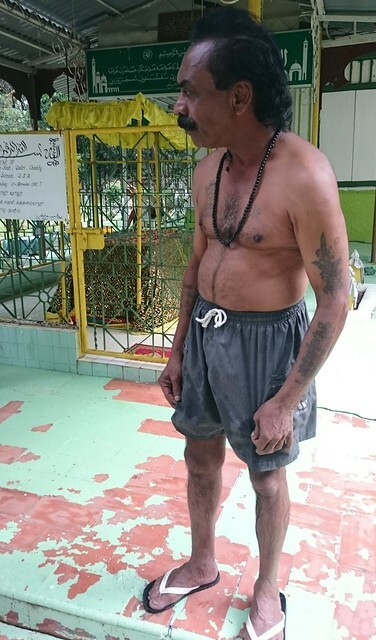 This Indian gentleman was born into a devoutly Christian (Pentecostal) family (his father was a Pastor) but through his own journey, converted to Islam when he was 18. Although this gentleman has a fascinating history, I’m going to keep the details sketchy because he’s a very private person and prefers to remain that way. I turned to the caretaker and explained that my friend F, was looking for his brother who was buried in the cemetery in 1973. Incidentally, 1973 was the last year that a burial took place in the cemetery. Besides that, we had no information. Due to the understandable heartache and trauma of the infant death, neither his mother nor father could bring themselves to visit the cemetery. Curious about me, he asked if I was a Muslim. I explained that I am a Christian. This surprised him on two counts. I’m a Sindhi (and he knew that as it came out during the conversation). Sindhis are generally Hindu and extremely rare is a Sindhi Christian. Secondly, he was surprised that a Christian brother would accompany his Muslim brother on such a task as this. I told him that I take it as an honour and a sacred privilege that my Muslim friend would ask a Christian brother to help him find his brother in a Muslim cemetery. Let me digress for a moment. There is a lot of talk during this period about Lee Kuan Yew’s accomplishment. The economic success, the glistening bay front area, the international reputation, and many other visible signs of success. 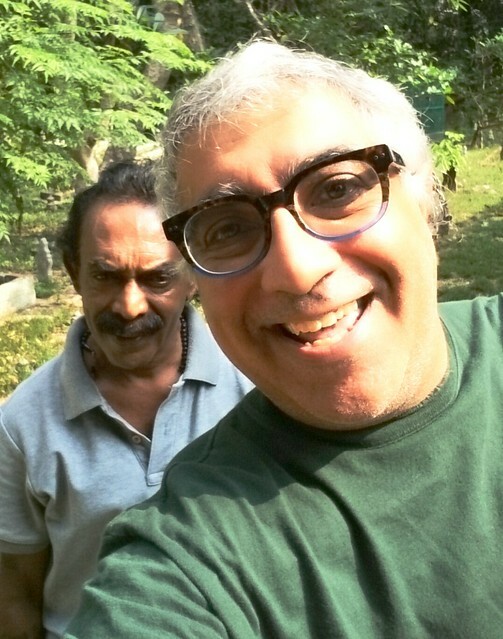 But, I stopped and asked myself, “Which other country could see a Christian Sindhi, accompany a Malay Muslim helped by an Indian Muslim (converted from Christianity) to find his brother in an old Muslim Cemetery?” Along with the glitz, this is the stuff that makes Singapore special and would make LKY proud. OK, back to the main story. The Indian caretaker took us around the cemetery explaining who was buried at which plot, the rough burial date of each section, what an infant’s grave looked like and through rambling with him, we finally came to a landing on the area (about 3 square metres), where F’s brother was buried. I stepped aside, some distance away but close enough to see him. What I saw was touching. He took out a small book which contained an excerpt of the verses from the Koran that is used for funerals. He was conducting the last rites for his brother. Here, the two first-born boys were united. This was closure. I watched from a respectable distance until he was finished. 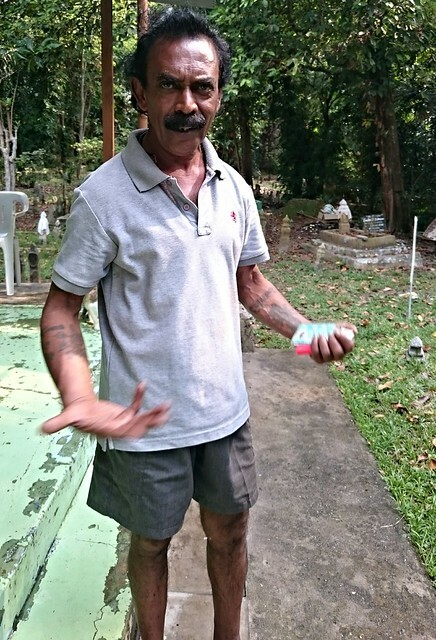 We thanked the caretaker and promised to come back with kopi and curry-puffs to thank him and to shoot the breeze in the cemetery. I took F home. He thanked me for accompanying him. I thanked him for the honour. Two men. Different religions. Sure, we may not agree on everything. But there was kinship, there was respect and there was love. Let love be without hypocrisy. Abhor what is evil; cling to what is good. Be devoted to one another in brotherly love; give preference to one another in honour; not lagging behind in diligence, fervent in spirit, serving the Lord; rejoicing in hope, persevering in tribulation, devoted to prayer, contributing to the needs of the saints, practicing hospitality.